Description: Shield-shaped badge. The background is brown flannel. 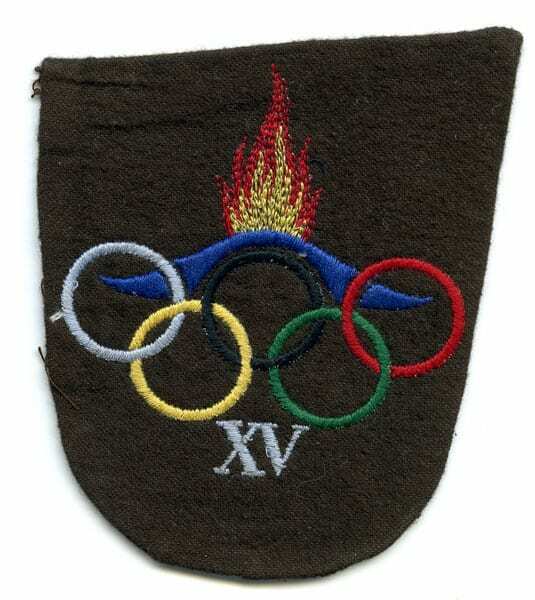 Yellow and red fire burning on a blue hill, the Olympic rings and the ordinal number XV.